“We’re making historic announcements at SeaWorld, including ending orca breeding, introducing new, inspiring and natural orca encounters, and launching new partnerships to protect oceans and marine animals. We’re creating a new vision for SeaWorld that will help us deliver on our mission that every guest who walks through our doors will be inspired to take action to help protect wild animals and wild places. When SeaWorld opened its doors more than 50 years ago, killer whales were feared and even hunted. Now, they are among the most beloved marine mammals on the planet thanks, in part, to the inspirational encounters we’ve provided to more than 400 million guests. The new vision for SeaWorld reflects changes in society and SeaWorld’s evolution with those changes, including ending killer whale breeding, new inspiring natural orca encounters, and new partnerships to protect oceans and marine animals. While these decisions represent a shift in our business, they do not change our core values and purpose: to protect animals in the wild and inspire our guests to join us in this critical mission. SeaWorld President & CEO Joel Manby talks about these historic announcements in a letter to the Los Angeles Times. 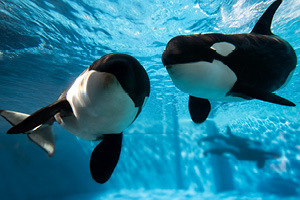 The killer whales in our care will be the last at SeaWorld. We haven’t taken a whale from the wild in nearly 40 years. 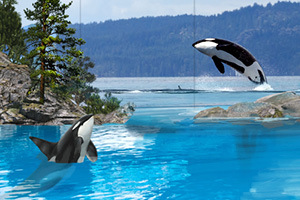 Now, we’re going further and will end our orca breeding programs as of today. 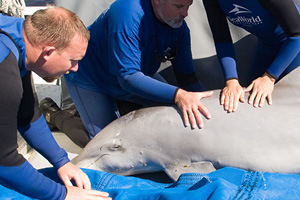 With the skills and dedication of our entire SeaWorld team, we will protect and care for these whales – here at our parks – for the rest of their lives where guests will continue to view and be inspired by them. We will introduce new, inspiring, natural orca encounters rather than theatrical shows, as part of our ongoing commitment to education, marine science research and the rescue of marine animals. Everything will reflect the natural world and will focus on the research, education, care and respect that align with our mission to advance the well-being and conservation of these beautiful creatures. These programs will focus on orca enrichment, exercise and overall health, and the change will start in our San Diego park next year, followed by San Antonio and then Orlando in 2019.